I have joined another group of like minded bloggers who love COOKIES!!!!! Nothing better than a great tasting, delicious cookie. This months theme is fun, it screams fall and it is APPLES!! Not the most traditional of cookie ingredients but one that I was more than willing to take on. This cookie is not mine originally. The base of it is from a wonderfully generous and amazing friend, Angie Girous-Shilladay who sacrifices her time, money and energy to go around the world once a year and build homes or facilities for impoverished nations. A truly wonderful person and one who I support totally in her mission. She generously made delicious cookies in exchange for a donation for her next trip abroad. They were the best cookies ever!! They inspired me to make these Apple Butterscotch Cookies for my daughter’s volleyball team. They loved them, they raved about them, they are still talking about them!! They were one of the best cookies I have ever made and will for sure make them again. I hope you try them too!! So easy and so delicious. ENJOY!!! Preheat oven to 375°F. In large bowl, cream softened butter, brown sugar and granulated sugar until fluffy. Beat in eggs and vanilla. In medium bowl, mix together flour, baking soda and salt. Gradually blend into creamed mixture. Stir in butterscotch chips and dried apple. Drop from small spoon onto ungreased cookie sheet, or use parchment paper or Silpat liners. Bake 10 to 12 minutes until golden brown. 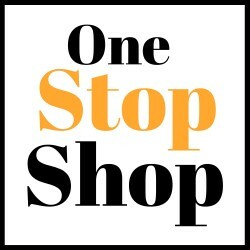 This is a BLOG HOP, click on in to see! Butterscotch and apples go together so nicely! I can see why the team adored these, Tara. And your friend, Angie, sounds like a special person. A kind heart in a good baker, just like you. I would have them devoured before I got in the car, man were those good cookies!!! Thanks Becca! Score! I can see how these apple butterscotch cookies would be a hit in any crowd. Oh I can just taste these cookies now. Butterscotch and apples are a brilliant combination! Butterscotch and Apples…oh yes, you and I were on the same wave length this month! Your recipe looks delicious and you know you have a hit when the volleyball team loves them! So happy to have you with us for this months Creative Cookie Exchange! Thanks so much Rebecka, so happy to be here sharing!! Found these on Tasty Kitchen. What a treat to follow them here and find all these other wonderful apple cookies, too! Thank you! Thanks so much for coming over Sharon, I hope you enjoy all the apple cookie recipes!! You know I just baked some apple slices today into apple chips and I bet I could use them in your recipe. It wouldn’t have occured to me to bake them into something else– I’ve been snacking on them so quickly they are disappearing! Can’t wait to try these cookies, thanks! Enjoy Holly, thanks for coming over!! I will definitely be trying these. Best cookies ever? I am sold! Yes! I love apple and butterscotch! Great combination. I love the recipe and pictures. 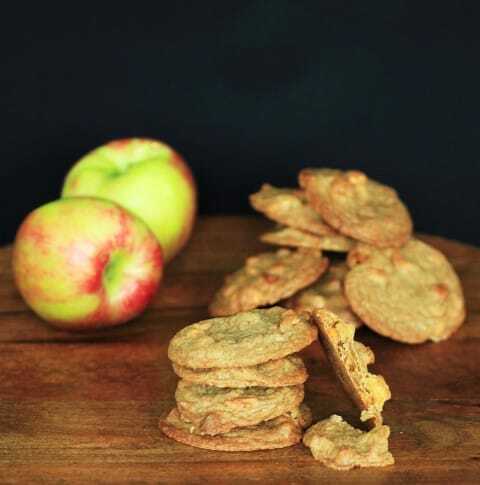 The combination of butterscotch and apples sounds so good, and I love the crisp look of your cookies. I can’t wait to try these. I hope you do try them they were a real hit!! These sound really good, I bet the girls just loved them. I love this recipe, and I love where it came from! What a great story! So happy you have joined us!